Stevens understands that many of today's students need to balance busy work, personal and study schedules. That's why we offer study options that meet the diverse, changing needs of our students and corporate partners. Stevens courses can be taken on our conveniently located campus or online, and custom education programs can be arranged on-site for corporate partners. Regardless of how you take a course or earn your certificate or degree, your education will meet the same high standards for quality, rigor, currency and applicability. 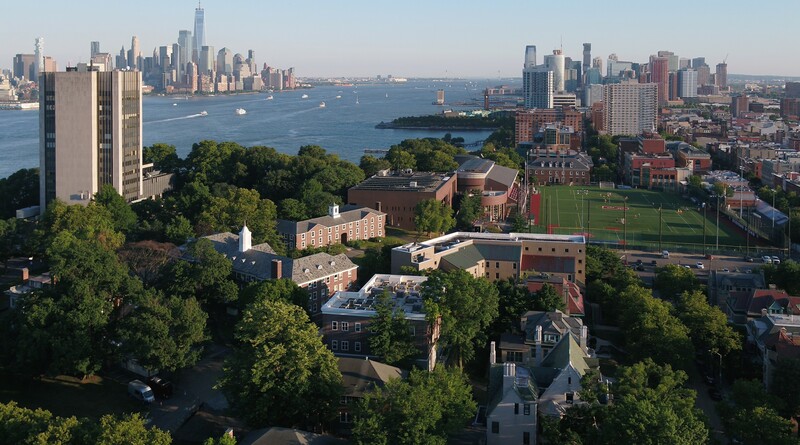 Stevens' main campus is just 15 minutes from Midtown Manhattan. Graduate students can select from a multitude of master's, doctoral and certificate programs, or opt to take up to three individual courses as a non-degree seeking student. Along with traditional full-time study options, mid-career students may choose to pursue part-time study while remaining employed. All master's degrees and graduate certificate programs are available on a full-time or part-time basis. StevensOnline and the award-winning WebCampus online education platform is a leader in web-based, instructor-led education. Students studying online enjoy the same faculty, course design and requirements as those studying on campus, but can pursue their degree at a flexible pace 100% online. Online students can attend live lectures, collaborate with other students and participate in discussions from any location. Stevens partners with organizations to create custom learning programs tailored to the business objectives and resource needs of corporations and government entities. Custom programs draw upon Stevens' tradition of technical innovation and problem-solving to develop solutions for real-world challenges. For more information contact Stevens Office of Continuing and Professional Education at [email protected] or 201.216.5602.